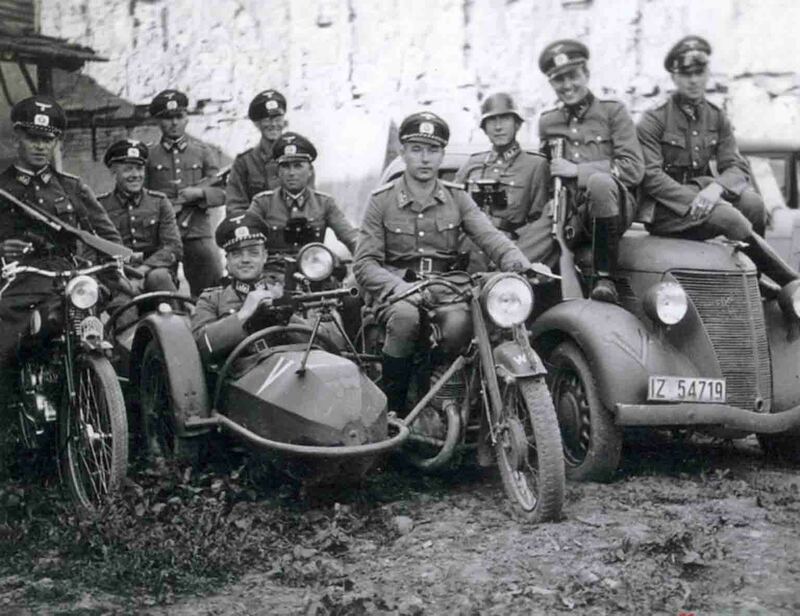 Officers of the German border police. The personnel is armed with German submachine guns MP-28 and Czech machine gun ZB-26/30. Motorcycle with stroller – DKW SB 500, car – Ford Eifel.